A few weeks back now (could be more than a month, god its so hard to keep track of the days!) I did a post called MY AUTUMN (remember it, remember it, huh huh?! ha) Where I basically typed about all things Autumn and how much I luuurvled it. Well, to run and keep in theme with this, I thought I'd do a little MY WINTER post. In all honesty I'm not actually sure when winter actually starts, but to me, its when the clocks go back an hour. I'm not sure if this is just a British thing, but the clock back one hour in this time of year, meaning it goes dark a lot earlier... like 4pm. This part I actually frickin' LOVE. 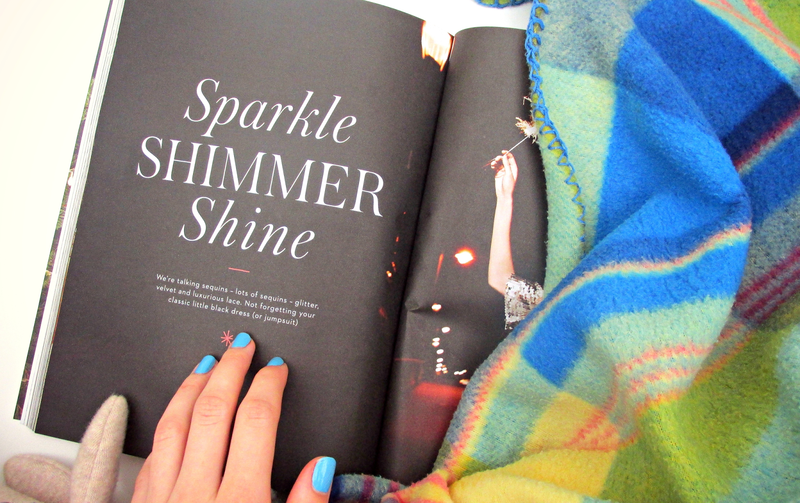 Its just so cosy and its just the best excuse to put on your pyjamas early and cuddle on the sofa. Ok ok, it may not be the best for natural light for this bloggin' so and so; getting them snaps ain't the easiest it girls? Oh well, you have to sacrife some things in life, don't ya. With it going dark early, this means my house basically turns into one big candle. literally. 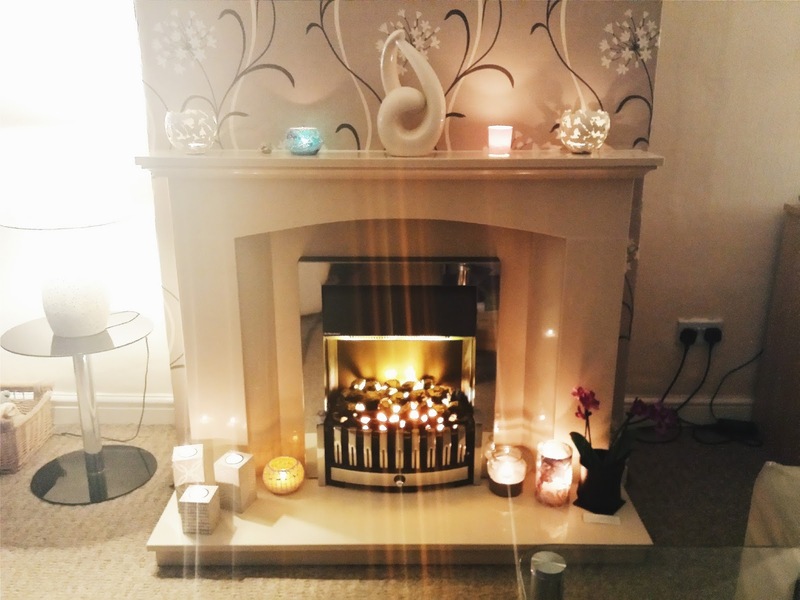 Me and my mum are candle obsessed, and is there anything cosy, like is there really? 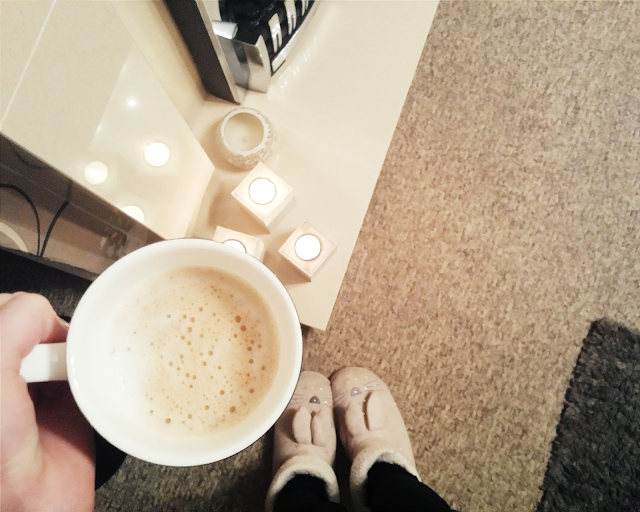 Lamps on, candles lit, cinnamon latte to hand & wrapped in a fleece blanket.. yep that's my winter. ps. 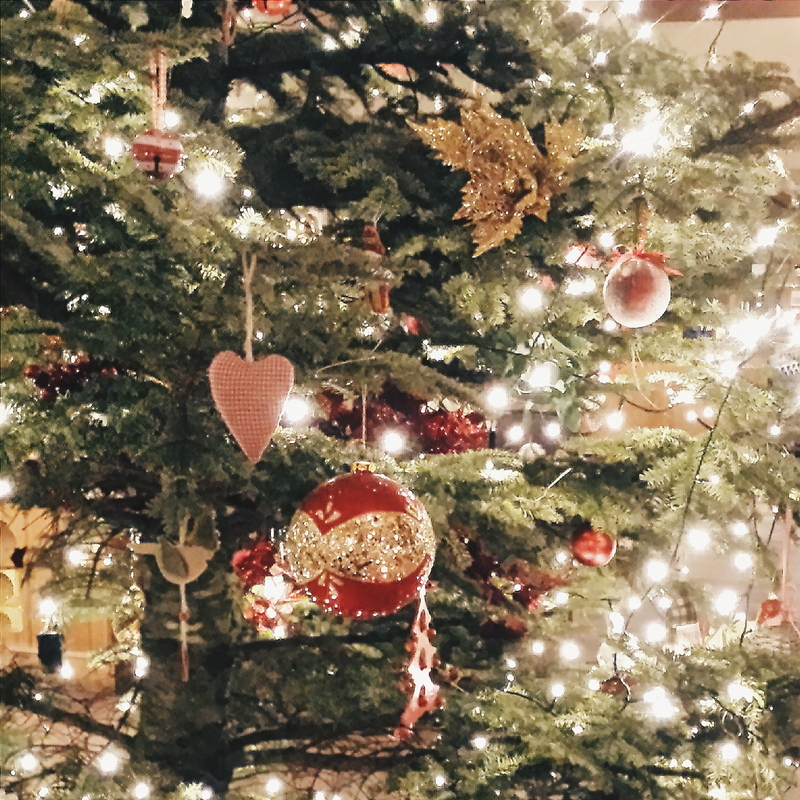 I've restained from using the C word, till December 1st, so I just left a picture of a Christmas tree I took last year below.. oops I said the word AAAH CHIRSTAMS IS SOON!